In 2017, on Lenin Street in Birobidzhan, the capital of the Jewish Autonomous Region of the Russian Federation, just a few buildings away from the building of the editorial office of the Yiddish newspaper Birobidzhaner Shtern, stands the magnificent Annunciation Cathedral. In the Birobidzhan city center, there are several other churches, chapels, and buildings. They all belong to the Eastern Orthodox Church prominently placed and erected in post-Soviet era. This includes the Reigning Icon of God’s Mother chapel on Victory Square and the wooden Church of Saint Nicholas on Sholem Aleikhem street, a street named after the classic of Yiddish literature Sholom Aleikhem. 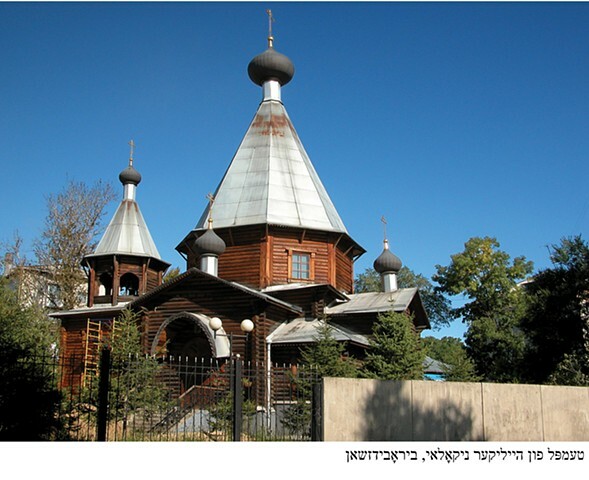 How can one process the reality of a blossoming Easter Orthodox Church in Birobidzhan, a city which was established the 1930s as a home for secular Soviet Jews? How is one supposed to understand the renaissance of Christianity in a land called the Jewish Autonomous Region? How can one reconcile the co-existence of only two synagogues with dozens of Eastern Orthodox churches springing up like mushrooms all over the Jewish Autonomous Region? 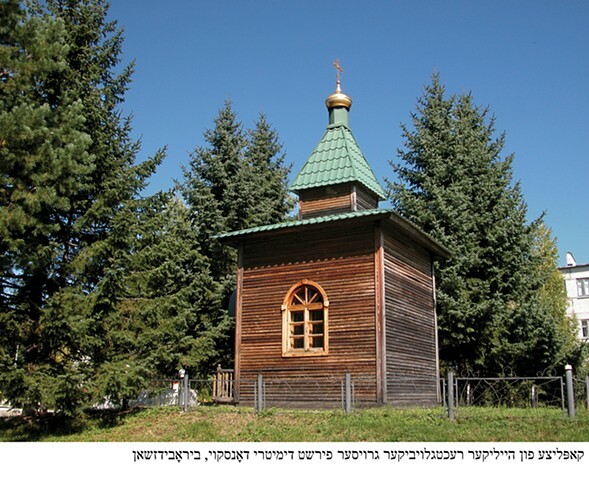 In the Jewish Autonomous Region of Russia—where most of the population are ethnic Russians—the post-Soviet renaissance of the Eastern Orthodox Church is not a contradiction but a natural and logical occurrence. The same process has been going on all over Russia since the collapse of the Soviet Union in 1991 and the Eastern Orthodox Christianity has been steadily strengthening its position, replacing the void of ideology that Communism left behind. 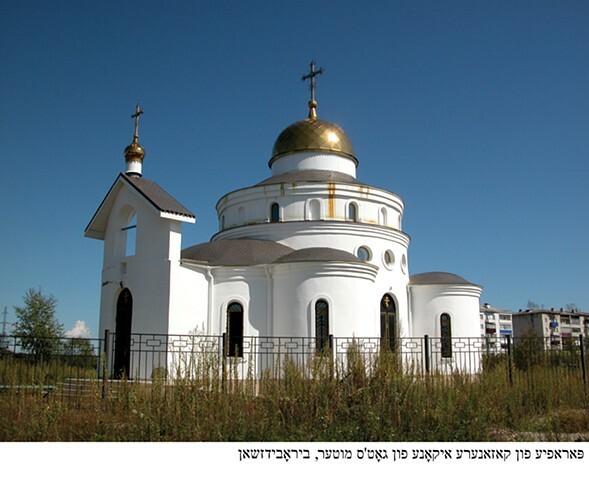 It might be ironic, sad, or both that the most prominent post-Soviet buildings in the Jewish Autonomous Region are Christian churches and chapels. However, it’s the reality of post-Soviet life and a historical non-contradiction. Stalin’s Zion is being replaced now with Patriarch Kirill’s Zion. The Eastern Orthodox Cristian renaissance today ends the daring 20th-century project of Jewish secular autonomy in Birobidzhan. The Eastern Orthodox Birobidzhan is the new Birobidzhan, the post-Soviet Birobidzhan, the real Birobidzhan. What was once Soviet has become Christian, for it was never really Jewish. 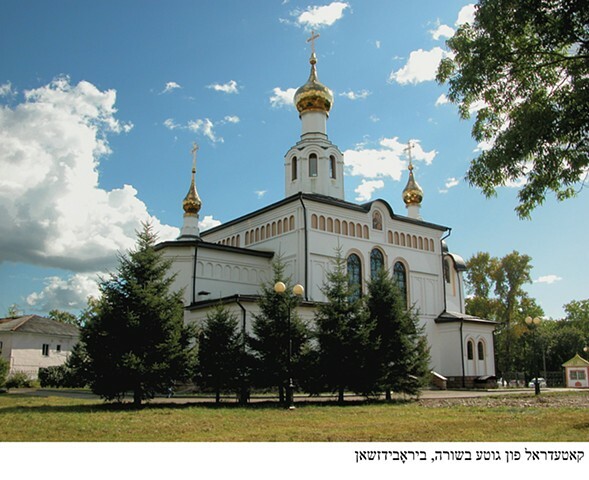 Eastern Orthodox Christianity has strong roots in Birobidzhan and the entire Jewish Autonomous Region. Christians have been living there long before the Jewish migration of the 1920s and the Orthodox Church was actively present during the times of the Russian Empire. The Church’s rise today is not an imposition, but rather a return of something well rooted in the region yet repressed during the Soviet Times. Saint Innokentiy, the canonized bishop of Moscow and Kolomna (1797-1879) introduced Eastern Orthodoxy to the land of what later became the Jewish Autonomous Region. in the 1850’s. He evangelized the church to the locals living along the Amur river and brought Orthodox churches, church-run schools, and cemeteries to the region. Orthodoxy was at the center of the life of the Cossacks who had migrated to the Amur River to cultivate and protect the imperial land. Orthodox priests were at the center of the Cossack communities and conducted metric books, medical services, and taught children to read and write. The population growth after the construction of the Trans-Siberian railway in 1890 rooted orthodox Christianity in the region. The growth led to mass constructions of churches and parishes and the rise of the influence of the Church. By the early 1920s, 24 Orthodox churches and 22 chapels were built. 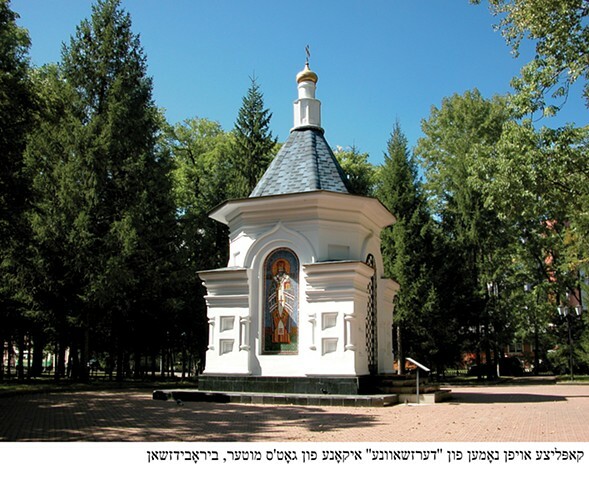 The region was part of the Blagoveshchensko-Priamurskaya diocese before it became the Jewish Autonomous Region. In many small towns and rural areas in the region, prayer houses became the center for services and rites performed by traveling priests. In 1922, at the end of the Russian post-Revolutionary Civil War, with the offensive of the units of the Red Army, all the Eastern Orthodox clergy along with the White Guard crossed the Amur into China. All the temples and chapels were wooden and completely destroyed during the Soviet anti-religious campaign. Not a single Eastern Orthodox church was left in the territory of what later became the Jewish Autonomous Region. The first Jewish settlers arrived in this area in 1928. 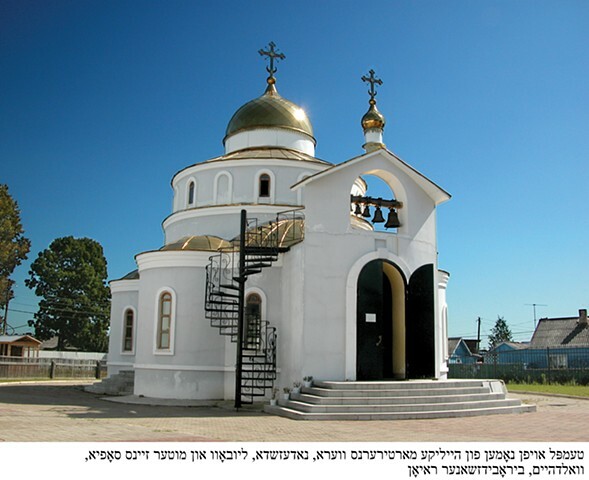 The revival of Orthodox Christianity within the contemporary Jewish Autonomous Region began after the collapse of the Soviet Union with the first parish established in 1992. It was located on Kirov Street where the former old wooden building of the former People's Court was erected. The church of St. Nicholas the Wonderworker, built in 1999, was the first post-Soviet church in Birobidzhanbuilt according to Orthodox canons. The independent Birobidzhan Diocese of the Russian Orthodox Church was established by the Patriarch of Moscow and All Russia Alexi the Second and the Holy Synod of the Russian Orthodox Church on October 7, 2002. The first stone cathedral in the history of the region opened in 2005 and was dedicated to the Annunciation of the Blessed Virgin Mary of Birobidzhan. In 2006, near the cathedral, the Educational Center of the Birobidzhan Diocese was completed. It houses the diocesan administration and the residence of the ruling bishop, a diocesan library, and a conference hall. 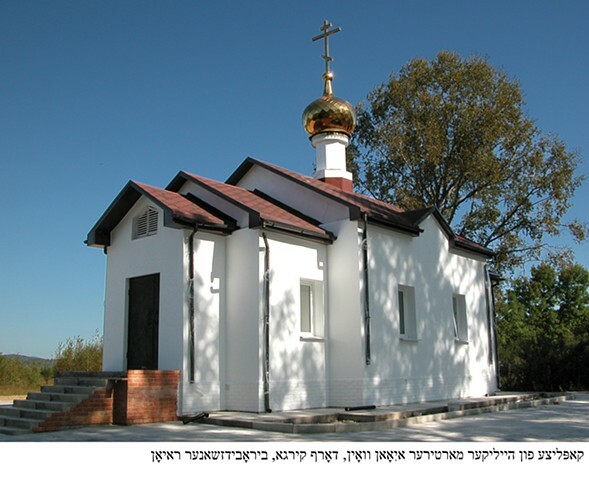 In 2007, a new church was built the name of the Prophet Ilya in the village of Amurzet. 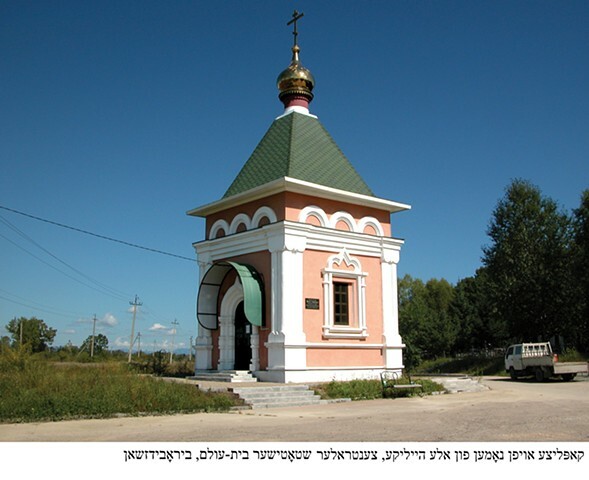 In 2009, a temple in the name of the Archangel Michael was built in the village of Leninskoye. In 2010, a church in the name of Sisters Faith, Hope, Love and their mother Sophia was built in village Valdgeym. By the decree of the Patriarch and the Holy Synod in 2007, the first monastery in the history of this territory was opened - a women's monastery in the name of St. Innocent of Moscow in the village of Razdolnoye in the Birobidzhan region. In the Birobidzhan Diocese today, new parishes are being created, temples and chapels are being built, church life is reviving in all its traditional aspects. The Diocese of Birobidzhan carries out a wide missionary, enlightening, social and charitable activity. By the end of 2012, the Birobidzhan diocese included: 35 parishes, 8 temples, 4 chapel, 1 monastery, and 18 priests. I visited Birobidzhan in September 2017 as part of the Regional Festival of Jewish Culture. The festival held a concert of the head cantor of the main Synagogue of Vienna. I was surprised to notice three Eastern Orthodox priests in the audience, who appeared to enjoy the concert and clapped and cheered the cantor enthusiastically. In attendance, there were also a local Chabad rabbi and rebbetzin. The rabbi and rebbetzin warmly greeted the Eastern Orthodox priests and vice versa. I was puzzled. What did I just witness? Was it some type of perverse post-Soviet religious “internationalism”, some type of solidarity of religious confessions that protect the “traditional values” of modern-day Russian Federation? Was it a demonstrative political gesture of friendship of institutions of organized religion that had a long history of animosity or simply friendliness of neighbors? Was it a brotherly bond of two spiritual springs that sprung up in the “spiritual desert” of the Jewish Autonomous Region after the collapse of the Soviet Union? Was it patronizing by representatives of the reigning victorious religious institution – Eastern Orthodox Church – of representatives of a tiny but (de jure) main local religion of the Jewish Autonomous Region --Judaism? Diocese of Birobidzhan is the precise answer to the question of what Jewish Autonomous Region of the Russian Federation is today in 2017. 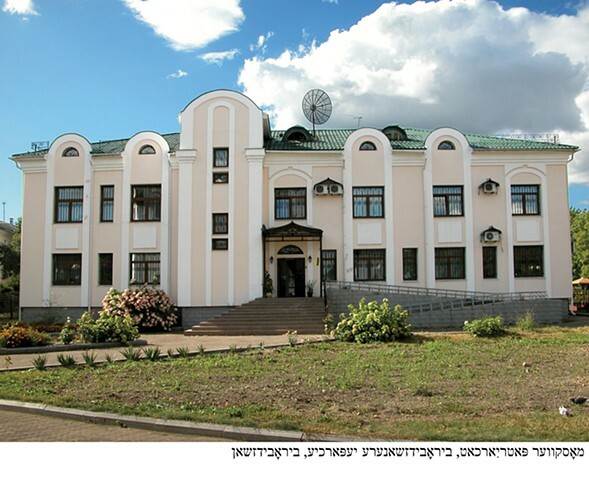 “The Birobidzhan Diocese is located on the territory of Russian Federation within the borders of the Jewish Autonomous Region,” says the website of the Diocese of Birobidzhan. 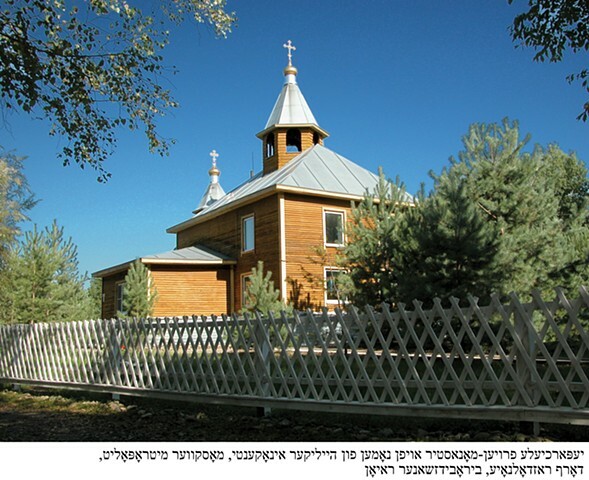 The Jewish Autonomous Region of today is the Birobidzhan Diocese because 70 years of “spiritual desert” is over.